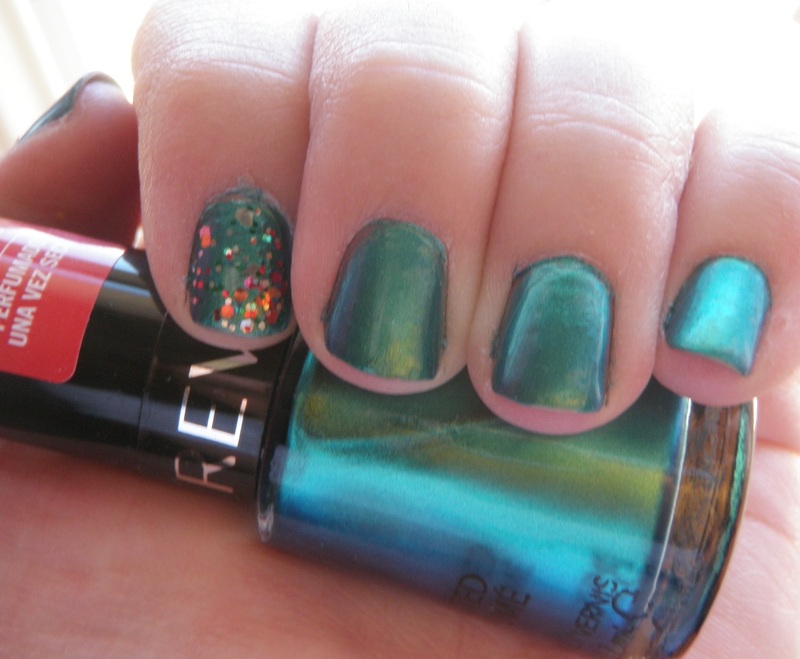 This polish is very pretty, it reminds me a lot of Nicole by OPI’s Iceberg Lotus. I would even go so far as calling it a dupe. I think it is important to note, though, that the Revlon polish didn’t go on as even. I needed three coats to achieve the opacity you see. However, despite these issues, the color came out beautiful. On to the scent: it is supposed to smell like the ocean. Scented nail polish is a little nouveau to me and sort of odd, but hey, I’m willing to try anything once. It was actually quite nice. The smell was very floral and just sort of made your hands smell nice instead of smelling like chemical-infused polish. I actually got this polish free as a beauty club reward for Ulta. I have to say, if you do not have an Ulta card, get one! They are free and they give you bigger rewards for the more your purchase. 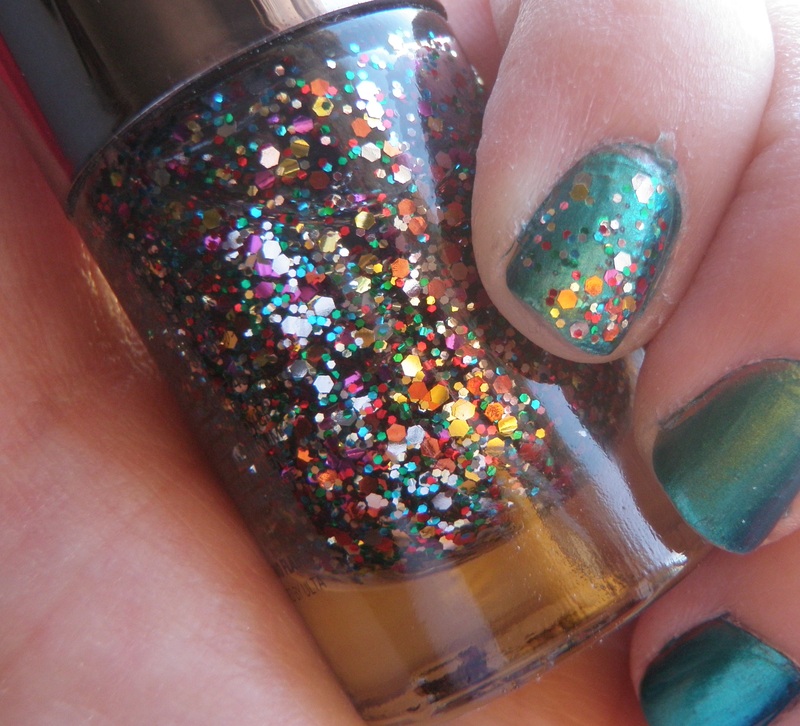 I picked this polish out of the Ulta shade range since it reminded me of the Debroah Lippman glitter polishes. I don’t buy Deborah Lippman due to the price and accessibility so this looked like a great dupe to me. The opacity you see is at two coats. 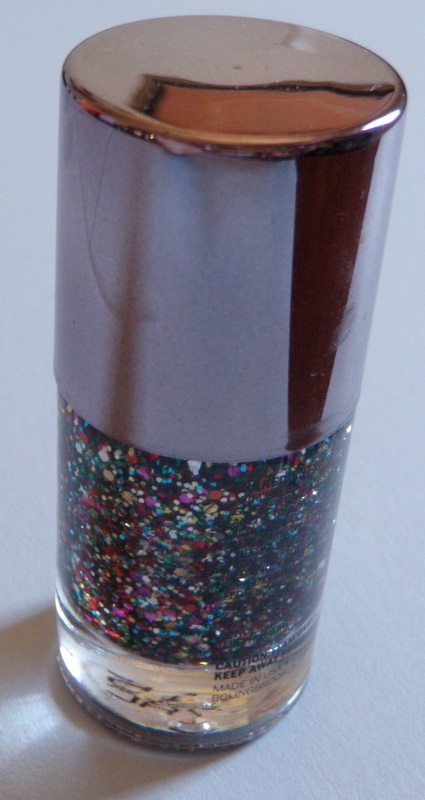 I love this glitter, it is so pretty. I enjoyed the scent of this polish and think it’s a nice change of pace. The color of ‘ocean breeze’ is beautiful and I really liked the way it turned out. 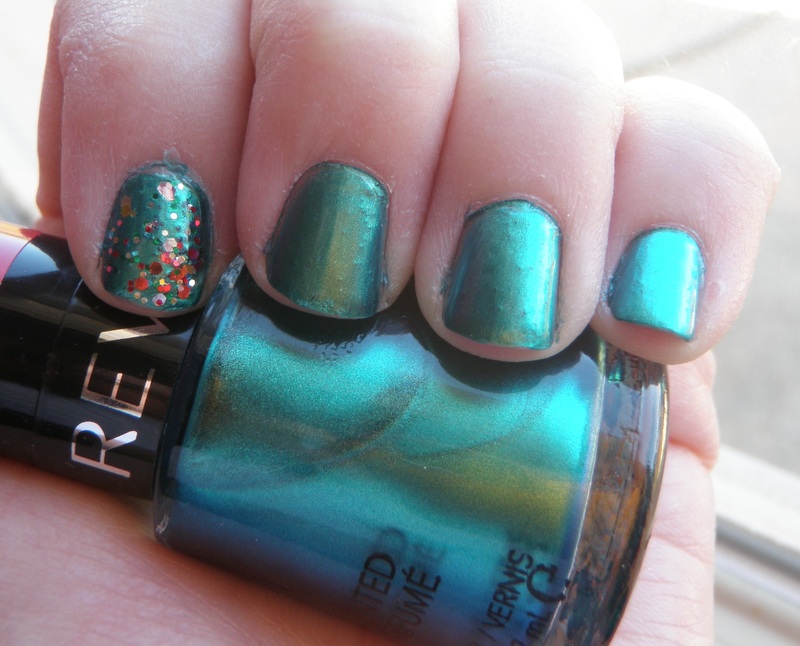 Posted on September 11, 2011, in Nail Polish and tagged breeze, drugstore, duochrome, glitter, nail, ocean, pinata yada yada, polish. revlon, scented, ulta. Bookmark the permalink. Leave a comment.